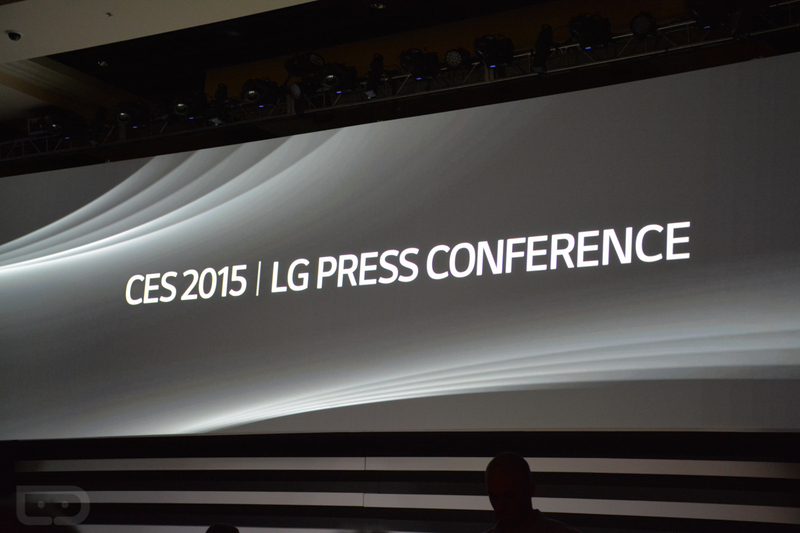 Live: LG’s CES 2015 Press Event! NVIDIA may have kicked things off last night at CES with their mostly-auto-related announcements, but today is officially press day. And since it is press day, that means LG is jumpstarting the festivities with their long-held 8AM Pacific (11AM Eastern) slot. For those new to press day at CES, this is how it works. Companies (the big ones) are given 45-minute time slots to pitch whatever it is they want to pitch or talk about for the next year. With companies like LG and Samsung, that means big showcases featuring everything from TVs to appliances to mobile and other smart devices. CES isn’t a mobile-focused show – it’s an electronics show. Today, you get to see a little bit of everything. Some of the companies participating in CES press day are LG, Qualcomm, Samsung, Sony, and ASUS. We will be at all of their events, so you will want to keep it here for live blogs like this one. What are we expecting this morning from LG? Well, on a mobile note, the G Flex 2. This is the follow-up to last year’s original curved P-OLED design, but has been greatly improved on almost all levels. Early (and leaked) rumors suggest that it will have a 5.5-inch 1080p P-OLED panel that is really curved, Snapdragon 810 64-bit processor, and that fun-to-torture self-healing back. Stay tuned as we bring it all to you!